Since I’ve started this challenge, I’ve been looking at other blogs and google etc. and I’ve seen how many people are very creative even on the days when the challenge is only a colour. I think I’m just going to continue being boring and just apply solid colours and then be more creative when I get further down the challenges. So today I’m wearing mint-green nail polish! 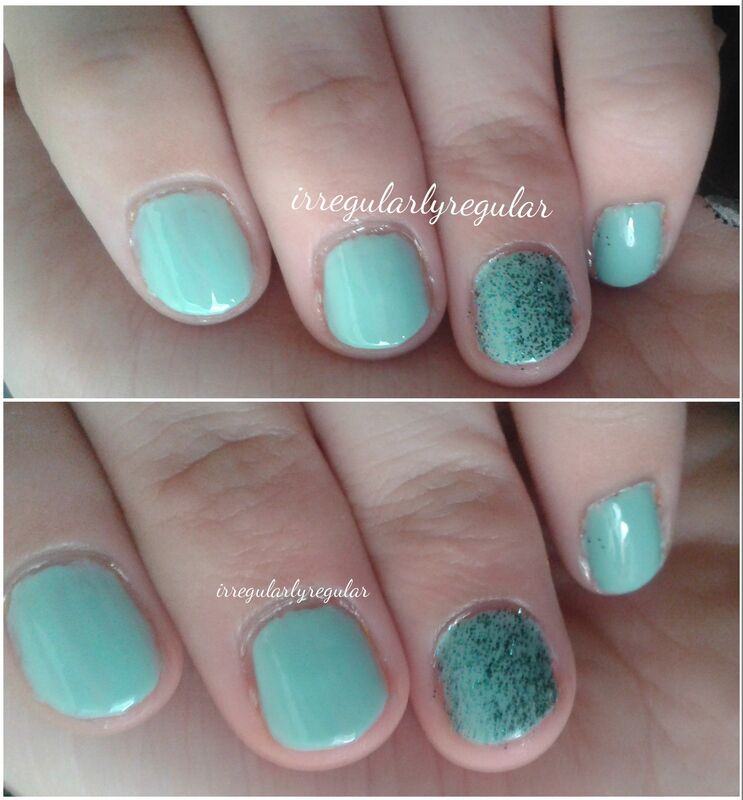 I’m wearing L’Oréal Paris – Perle de Jade. I’ve gotten to really like a glitter accent nail, so of course I’m wearing that today as well. The accent glitter colour is Nails by H&M in the colour Mermaid which is a very pretty glitter – I just wish that the base wasn’t transparent and that you could get this in a solid colour.